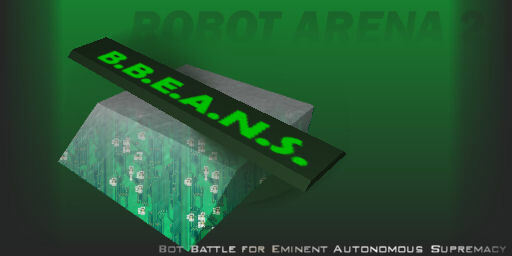 BBEANS started in 2006 with an audacious new idea: Competitors build their own bots to enter, but instead of fighting online as was the norm in 2006, all of the entries are sent to the tournament host and AI'd, either by the builder or by the host. 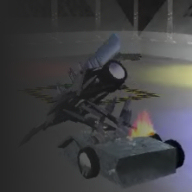 For each match, the computer-controlled bots are pitted against each other in a recorded fight, which is later posted online so everyone can see how their bot did. Since then, the RA2 tournament scene underwent a dramatic shift from a bare handful of online tournaments bogged down with lag and time conflicts, to countless AI-based tournaments of all types. Today, BBEANS remains the biggest and some say most prestigious tournament. The following ruleset has been a benchmark for almost all AI tournaments, BBEANS or otherwise. Specific rules (weight class, arena, etc.) are posted differently for each event on appropriate message boards. Check gametechmods.com to see if there are any upcoming events. The only parts allowed on your bot are the parts that come with the game, unless otherwise specified. No cheatbot2 parts, parts downloaded from the internet, or custom-made parts. The one exception to this rule is custom smart zones: these are allowed, provided that they are used purely for AI purposes and not other uses such as ballasts or attach points. Your bot must be built entirely in the bot lab. That means no AAM or bot file editing. The only thing you can do to your bot outside of the bot lab is skin (paint) it. 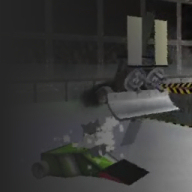 Your bot must be able to show controlled (not random) movement at any time during the match, for as long as its drive system remains operational. Bumble balls, Nasty Pickles, piston fliers, or related designs do not count as controlled movement. A quick test: if your bot is able to track down an immobile opponent in an arena without walls, then it should be acceptable. Your bot must be unique; that is, you can't enter a bot built by someone else. You may use another bot's chassis for the base of your bot, but the design must be significantly different from the original bot. A few component swaps do not make a bot unique. Your bot's AI cannot do anything unrelated to driving or firing weapons, such as repair itself or apply force to the opponent. Glitches in the game (excluding random Havok explosions) may be exploited as long as they do not violate the above conditions. No component can intersect another component that could not have a slot cut in it in real life. This is easier to understand with an example. Suppose your bot has a spinning blade. A stationary armor plate can have a slot cut in it in real life, so it is allowable for the blade to pass through such an armor plate. However, you can't cut a slot in a wheel, since wheels spin. 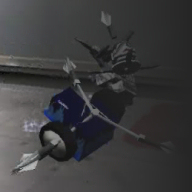 So if the blade passed through the bot's wheels, the bot wouldn't be allowed. Batteries and motors also can't have slots cut in them, so intersecting these components is also not allowed. Finally, the blade could not completely bisect (cut in two) the bot, since if you cut a slot all the way through in real life, it would just fall apart. No stacking of batteries or air tanks is allowed. This is a corollary of point 1, but is somewhat less intuitive. No chaining of motors is allowed. Judging realism is mostly a subjective assessment and, as such, there is some tolerance associated with these rules. It is allowable if two moving components are only very slightly intersecting, and if you have a reasonable explanation for how your design could be built in real life, it might be allowed even if it violates some of the above rules. 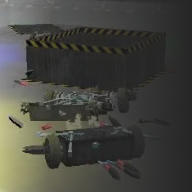 Multibots (aka cluster bots) are allowed with certain limitations. First, the number of bots in the cluster is limited to 2. Second, the combined weight of the two bots cannot exceed the weight limit for the tournament. Third, if a multibot qualifies for the rumble, only one half of it will be able to participate due to there being only 4 player slots. Multibots will be fought under the Team battle format so that their points are added together, and they do not get points for hitting each other (although they will still be damaged if they do, so watch out). You are welcome to AI your bot yourself and give me your code for the tournament. If you aren't confident with your AI-writing ability, though, you do not need to send me any code, and I will AI any entries without code provided. If you do choose to send me AI code for your bot, know that I will not change it in any way without permission unless it crashes the game, even if there are obvious improvements to be made. So make sure you are satisfied with your code before sending it. After your bot is entered in a tournament but before it starts, you are allowed to make minor changes as many times as you wish. A "minor change" is any change that does not affect the bot's functioning, for example swapping some razor tips for iron spikes or adding a wedge for getting under opponents. If your bot is AI'd, and it can still use the same AI code after being updated, then the changes you made are sufficiently minor. You are allowed to make major changes as many times as you like for as long as your bot is not AI'd yet. A "major change" is if you want to use an entirely different bot, or if you totally overhaul your original bot such that it must use different AI. I will wait at least one week before AI'ing any entries I receive, so you are guaranteed a one-week window in which you can make major changes to your bot. An exception to this rule is if you make a major change to your bot and AI the new bot yourself. In that case, you can make the change even if your original bot is already AI'd. You do NOT need to leave extra weight on your bot for a smart zone. It is OK if your bot is overweight from smart zones. Custom smart zones are allowed, provided they are used only for AI purposes (no ballasts or attach points). The match will be restarted on four conditions. If a random Havok explosion occurs that affects the outcome of the match. If a Havok explosion can be attributed to a specific bot, that bot will forfeit the match on the second offense. The first offense is a free restart. Each bot gets one free restart for the entire match, whether that includes just one fight or three. If the two bots get stuck dancing in circles for more than 45 seconds. 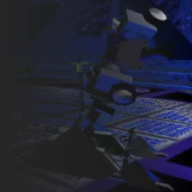 If a bot gets stuck and immobilized while it still meets the following three conditions: 1) It is capable of controlled movement. 2) It has enough remaining battery to avoid being counted out. 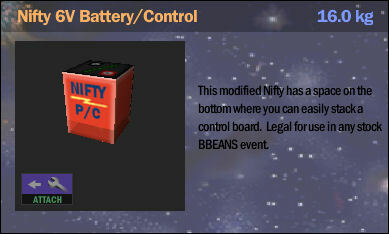 3) Its control board is undamaged. If ANY ONE of these conditions is not met, the bot does not get a free restart. 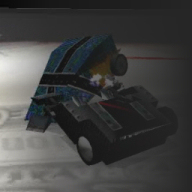 Otherwise, each bot gets one free restart for the entire match, whether that includes just one fight or three. If a bot loses only due to an obvious error in the AI. In order to warrant a restart, the error must be obvious enough that there could be no other reason why the bot lost, such as being counted out without trying to move. A miscalculated turn that exposes a wheel isn't obvious enough. If none of these restart conditions are met, the FIRST match recording will be the final result. The rumble is a special event held at the end of the tournament. The four highest-ranked competitors that are not in the finals qualify for the rumble. These four bots all fight in a single four-way battle, and the winner gets one prize. There are six prizes that can be won in BBEANS. The tournament Champion wins the Champion's Sword plus one other prize of their choice. The runner-up, the rumble winner, and the winners of any bonus awards each win one prize of their choice. Once won, these prizes are legal components for any future BBEANS events. 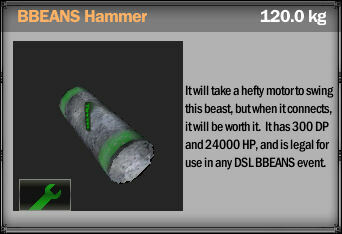 40757 has the BBEANS Blade. Alterer of Reality has the BBEANS Blade. 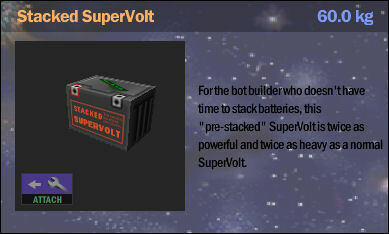 Clickbeetle has the Nifty P/C, the Stacked Supervolt, and the Armored Magmotor. Craaig has the BBEANS Blade. Firebeetle has the Champion's Sword and the BBEANS Hammer. G.K. has the Armored Magmotor. infiniteinertia has the BBEANS Blade and the Stacked Supervolt. Jules has the BBEANS Blade. Naryar has the Champion's Sword and the Stacked Supervolt. 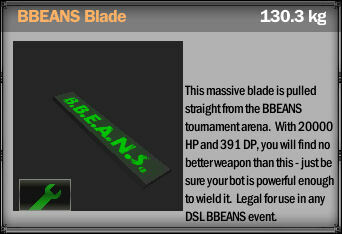 Phlox has the BBEANS Blade. 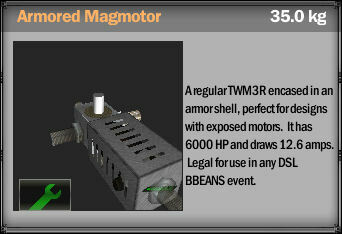 Pwnator has the Armored Magmotor. pyscolone has the Armored Magmotor. Redline has the Stacked Supervolt. R0B0SH4RK has the Stacked Supervolt, the BBEANS Blade, and the Armored Magmotor. 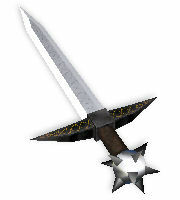 Sage has the Champion's Sword and the Stacked Supervolt. Scrap Daddy has the Stacked Supervolt. somestrangeguy has the Stacked Supervolt. Urjak has the BBEANS Blade. Virus Bomb has the BBEANS Blade.